It was one of those days today, when nerves upset my stomach. Flynn has been training extremely hard the last few months, putting in the km’s in the pool to attempt to make a Queensland State Championships Qualifying time. He’s close, but he hasn’t made it yet. The qualifying times are rough. Some of the toughest in the world, with Queensland possessing arguably the largest selection of elite swimmers globally. It’s mentally challenging to overcome the disappointment of falling short when you’ve put in the time, which is why I was so nervous for him. Today, he was presented with an opportunity. The first A qualifying long course meet of the season. He was going to try. His coach warmed him up and concocted a race plan. In order to give himself a chance at all, he was going to have to swim a 2 second PB for 50 metres. However this was a 100 metre race. A PB for 50, and then keep going almost as fast in the second lap. Flynn has never done this. My stomach was rumbling, my hands shaking, but he looked calm. Good, or maybe not??? 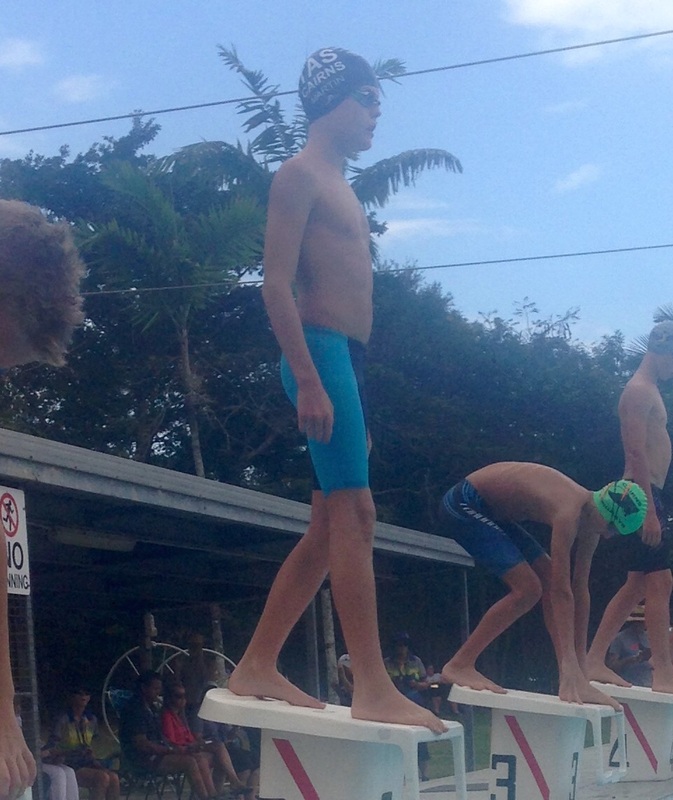 I looked over at Michael as he walked up to the blocks on the whistle. He nodded his head. He needed a time of 1:26 to make it. He’s swum a 1:28 before, but that was in a short course pool which is technically faster, as there are more turns, which can give you an advantage. ‘Don’t worry Flynny, whatever happens, you have more than given it your best shot’- I thought. He was focused. I was having a heart attack. The gun went…he was off. Good start…come on Flynn, come on. He approached the 50 m Mark.. He needed to swim it in 40 seconds, I checked my watch…39.02, he’s on target. Oh my goodness I can’t stand it. His coach began to whistle every time his head came up to help with timing. If he slowed down at all, he wasn’t going to make it. He needed to do a solid swim back, and finish the last 15 metres fast. Was he fast enough? His glide looked good, but those last few strokes can make or break. I peered at the official time.